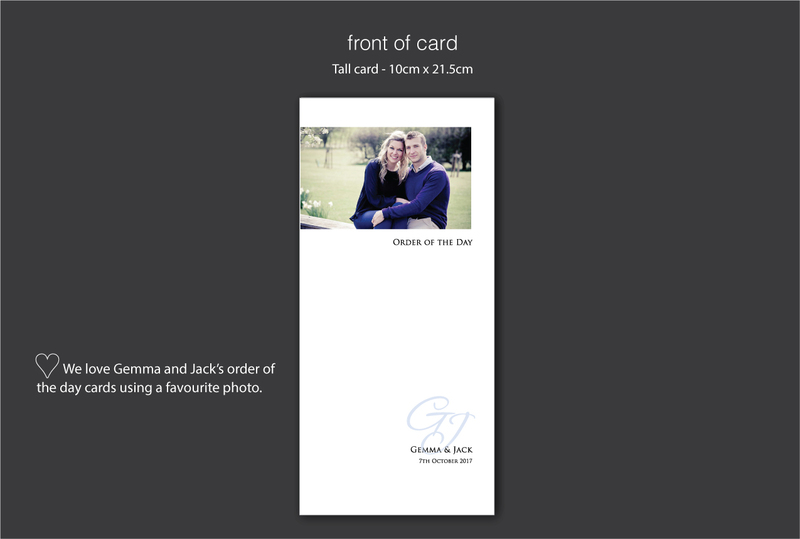 Jack and Gemma used a favourite photo to personalise their order of the day cards. 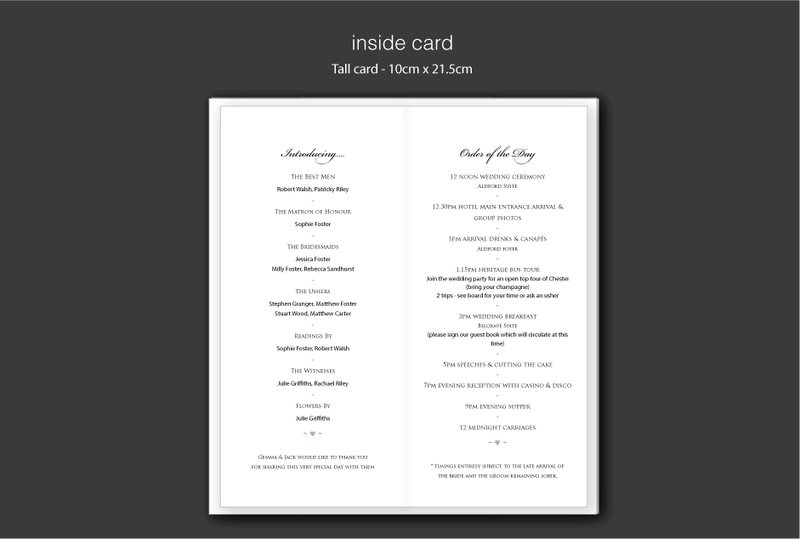 They were having a civil ceremony so didn’t need a full order of service but they wanted their guests to know a running order of events as well as details on the wedding party. 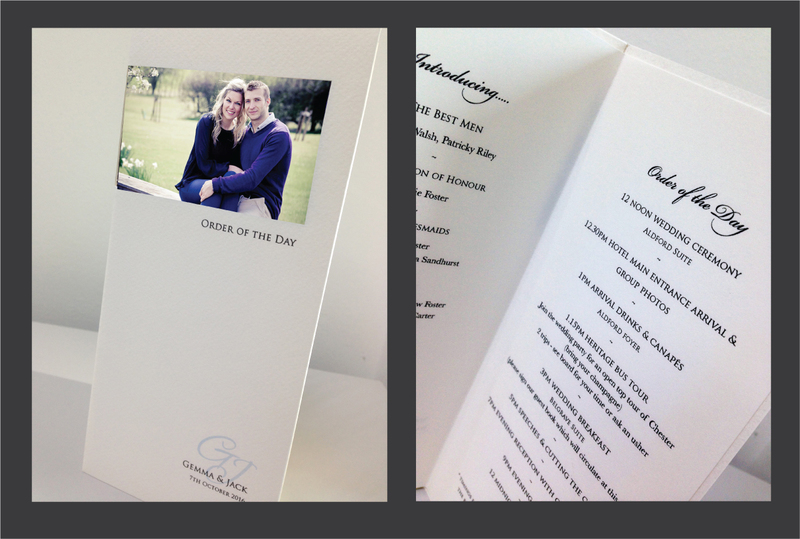 We added the monogram we had created for their wedding invites so all their stationery matched. 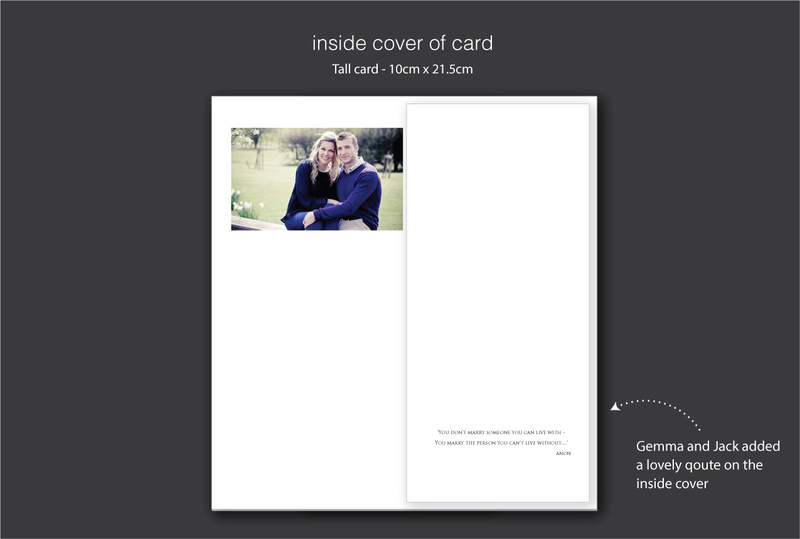 Just tell us you like the ‘Jack and Gemma ‘ if you would like to use any design details from this example.